When the original light seals become old, it occurs light leaks and backdoor rattling. This seal kit covers as following image. Those are already cut, Ready to Use, You do not need to cut by yourself. 3 kits in 1 set. 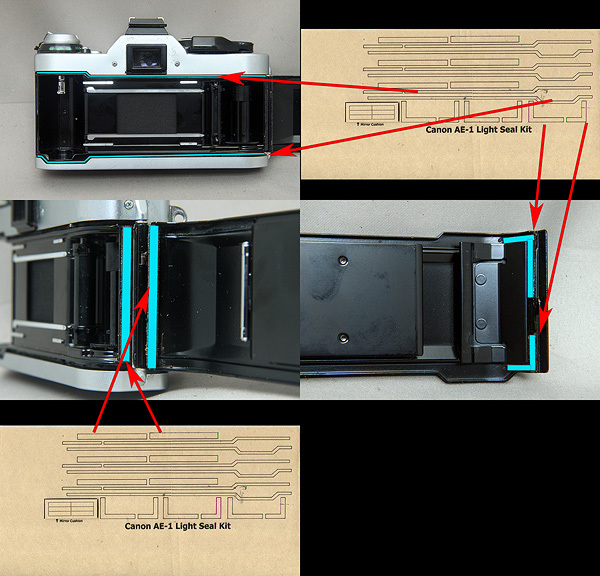 You could replace 3 units x Canon AE-1 seals. The seals are glued back (self adhesive).